Ever wonder what it would be like to be in a band with your siblings? Ever wonder what it would be like to be in a band with your siblings? Perhaps you dreamt about it long ago. 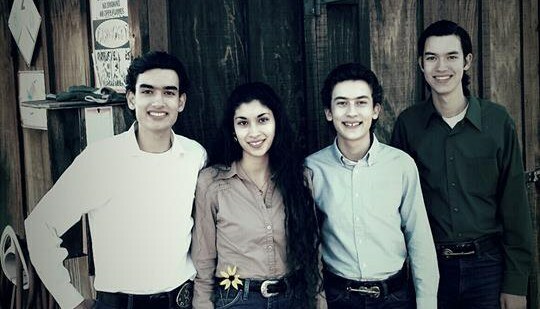 These four siblings realized that dream. 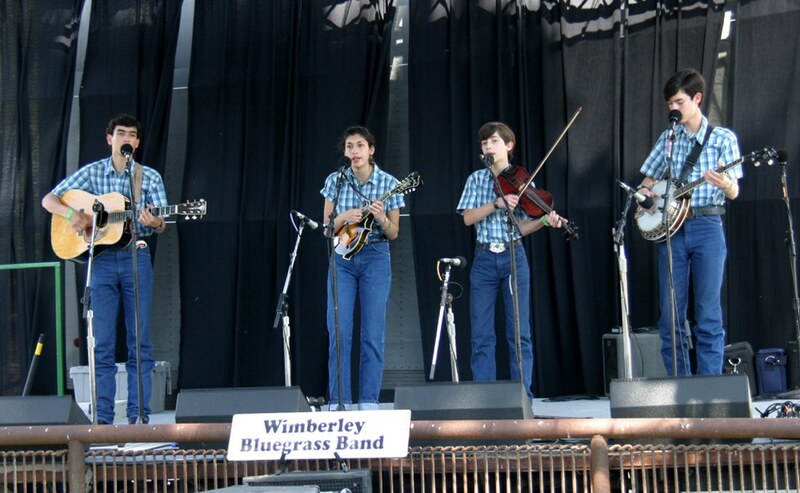 The Wimberley Bluegrass Band is comprised of four juniors, all siblings, at Chapman University. 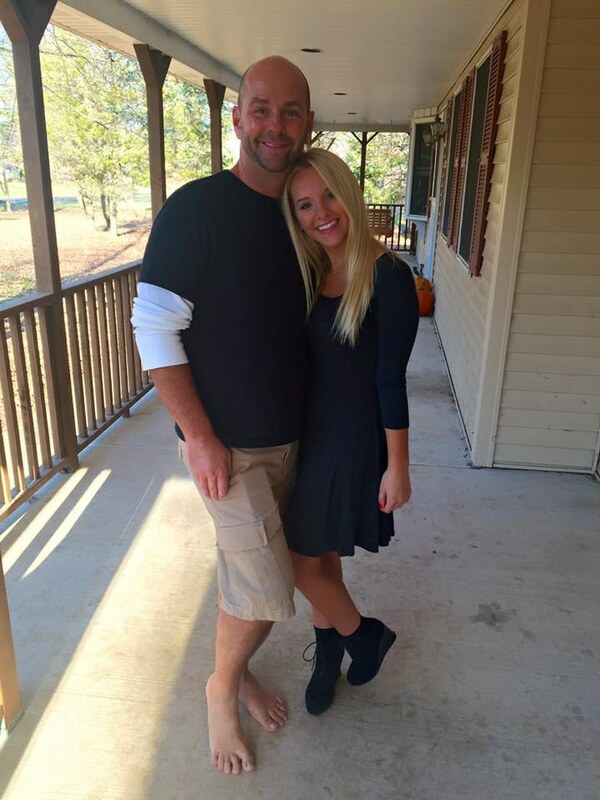 Danielle, the sister, is 21 years-old studying Business Administration. She plays the mandolin and is a vocalist. Mark and James are 19 year-old twins studying Mathematics and Computer Information Systems, respectively. They both are vocalists. Mark plays the banjo and James plays the guitar. Michael is the youngest sibling, 16 years old, studying Strategic and Corporate Communications. He plays the fiddle and is the lead vocalist. I had no idea that these talented peers studied among me until one morning when they joined my classmate Michael in our Intercultural Communication class to perform a mini concert. How did the Wimberley Bluegrass Band get started? As Michael says, Bluegrass music is "true and uniquely American music. The songs are real life and come from the heart". These self-taught musicians begged their parents for instruments for Christmas of 2006. They learned to play their instruments by going to jams and continuing to listen to their favorite bluegrass artists. They enjoy playing together and are often asked if they practice a lot to which they reply no. Danielle says "we play a lot! It's technically the same thing, but playing is more fun than practicing." They have played a variety of gigs across the United States and were even named one of the "Best Local Bluegrass Bands in LA" by CBS. Mark says his favorite gig was the Big Bear Bluegrass Festival in 2012 where the Wimberley Bluegrass Band headlined and got to be in the annual parade. James' favorite gig was at The Row in Nashville, Tennessee last June- one of the band's first gigs in Nashville. Where to go from here? It was exciting to hear their music in such an intimate setting. I was caught off guard by how impressive they sound. I had never listened to Bluegrass before and the Wimberley Bluegrass Band opened my eyes. As individuals, they each want to earn their Bachelor's degree. As a band, their goals are to keep Bluegrass alive playing for people who have yet to hear it, travel with the band around the United States playing music for a living, play at the Grand Ole Opry, and make this passion a career. College is all about trying new things so why not take a listen to Bluegrass music? You might find out you like it. If you're interested in learning more about the Wimberley Bluegrass Band, check out their website here.